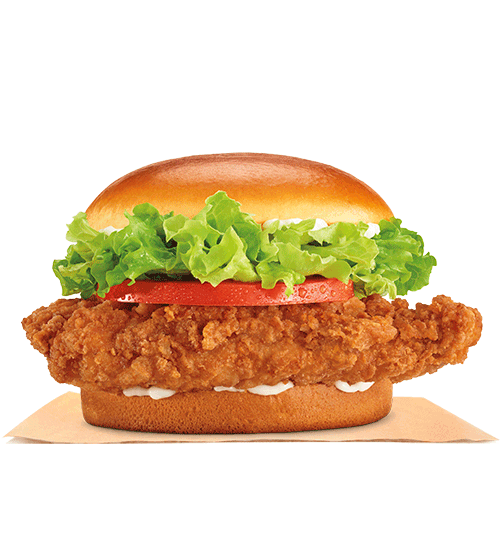 Our New Crispy Sandwich is a premium white meat chicken filet, seasoned and breaded and carefully layered with fresh lettuce, ripe tomato, and creamy mayonnaise on a potato bun. Add a medium side of piping hot, thick cut French Fries or golden Onion Rings and a medium fountain drink of your choice to make it a meal. Allergens: Soy, Egg, Wheat Download our Full Menu to view all nutrition information.